Update: The recording for this show can be found here. 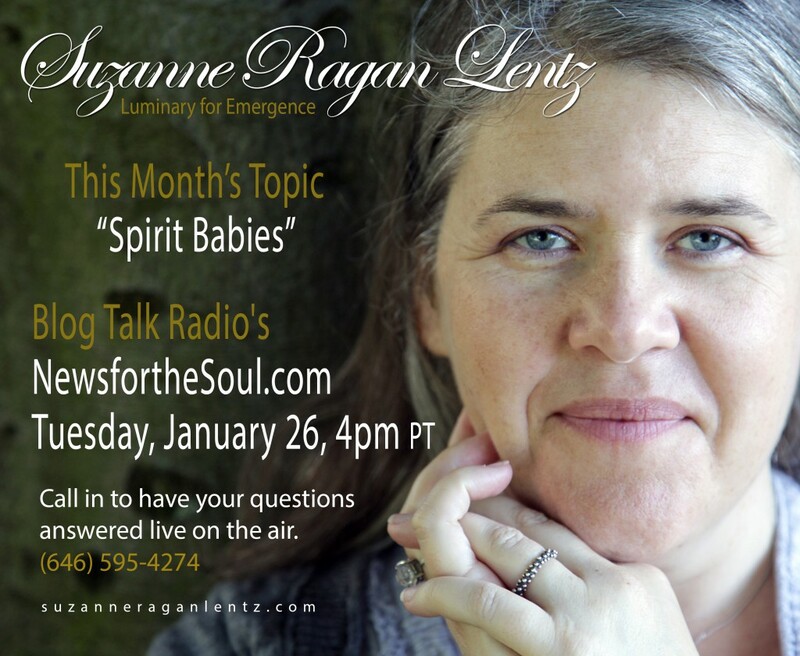 Today at 4pm PST, I will be talking about Spirit Babies on my News for the Soul radio show. The topic for Tuesday’s radio show on News for the Soul is Spirit Babies. A spirit baby is the soul of your baby-to-be. Just like you have a soul, so does your baby. It is our energetic essence that exists prior to and after life. During my own fertility journey, a spirit baby spoke to me, completely out of the blue. I was walking to work and a pregnant woman passed me and the soul of her baby spoke up; so excited that I could hear it. This is when I learned that I had a gift to communicate with little ones coming into the world. If you are trying to conceive or are pregnant, PM specific questions to be answered on the air or call 646-595-4274 on January 26 at 4pm PT to speak with me live on the air.